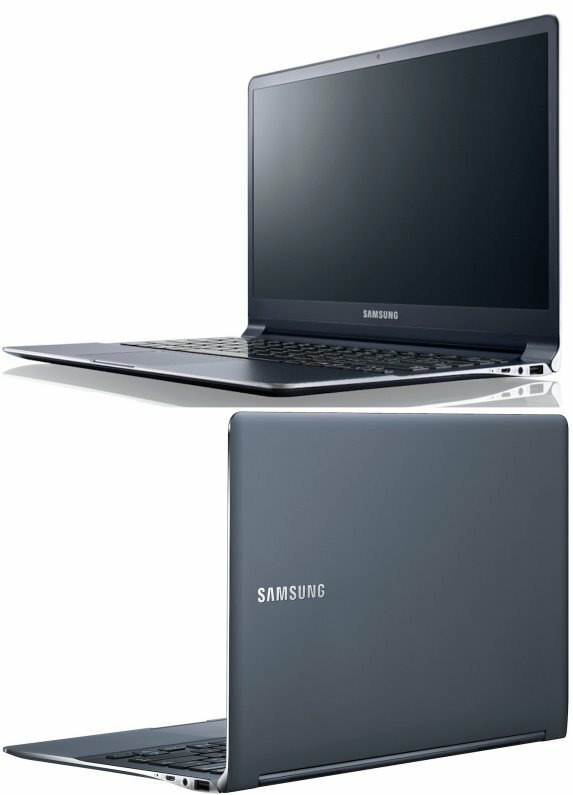 Slashgear writes Samsung has developed its second-generation Series 9 ultrabook. The new 15" model now weighs only 3.5lbs and is just 0.58-inches thick. Available in 13" and 15" editions, the new Series 9 offers Intel Core i3/i5 processor, up to 8GB DDR3, a 128/256GB SSD, a glass multitouch trackpad, a bootup time of just 9.8 seconds and a wake-from-sleep of 1.4 seconds. Battery life is rated at up to 10hrs for the 15-inch model, despite Samsung using new, HD+ SuperBright Plus 1600 x 900 screens. These are apparently 180-percent brighter than the first-gen Series 9, and have anti-reflective coatings and 160-degree viewing angles. Both screen and keyboard backlighting are ambient light sensitive, adjusting automatically. A glass multitouch trackpad, lashings of aluminum in the single-shell chassis, and even a special designer leather sleeve – an option – to hold it, round out the main specs. The new Samsung Series 9 2nd-gen is available in February, priced from $1,399 for the 13-inch and from $1,499 for the 15-inch.